Seeks to withdraw PIL but top court appoints amicus curiae to look into issue. 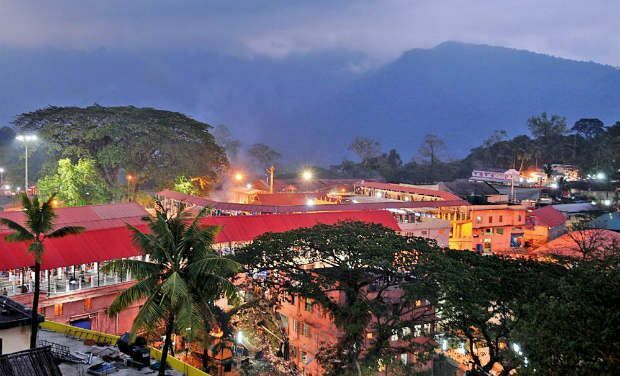 New Delhi: Once a PIL is filed and heard, it cannot be allowed to be withdrawn, the Supreme Court said Friday as it decided to hear on Monday a lawyer's plea that he was getting threats for filing a PIL seeking entry of girls and women in the historic Sabarimala temple in Kerala. "Let people know this that once a public interest litigation (PIL) is filed and entertained, you cannot withdraw it," a bench of Justices Dipak Misra and N V Ramana said. The observation came when Naushad Ahmed Khan, President of Indian Young Lawyers' Association (IYLA) which has filed the PIL on Sabarimala issue, sought urgent hearing of the matter saying he has received 500 threatening phone calls in recent times and asked to take back the PIL. The bench said it may think of appointing an amicus curiae to assist the court in the case and the question of the right of women would be decided "constitutionally" and the plea cannot be withdrawn like this. The IYLA, in its plea, has sought entry for all women and girls in the Sabarimala temple, which, as a practice, does not allow girls after attaining puberty to enter the premises. The temple, however, allows only those women to enter who have reached the menopause stage. "The temple cannot prohibit entry (women), except on the basis of religion. Unless you have a constitutional right, you cannot prohibit entry. Anyway, we will examine it on February 8," the bench had said.